154 pound contender Brandon Cook missed out on a big with with Kell Brook due to the former IBF welterweight champ getting injured, but now the once-beaten Canadian has an even bigger fight – on a much bigger stage. According to a news piece from The Toronto Star, Cook, 20-1, will challenge WBO 154 pound ruler Jaime Munguia on the big Gennady Golovkin-Canelo Alvarez rematch card in Las Vegas on September 15. 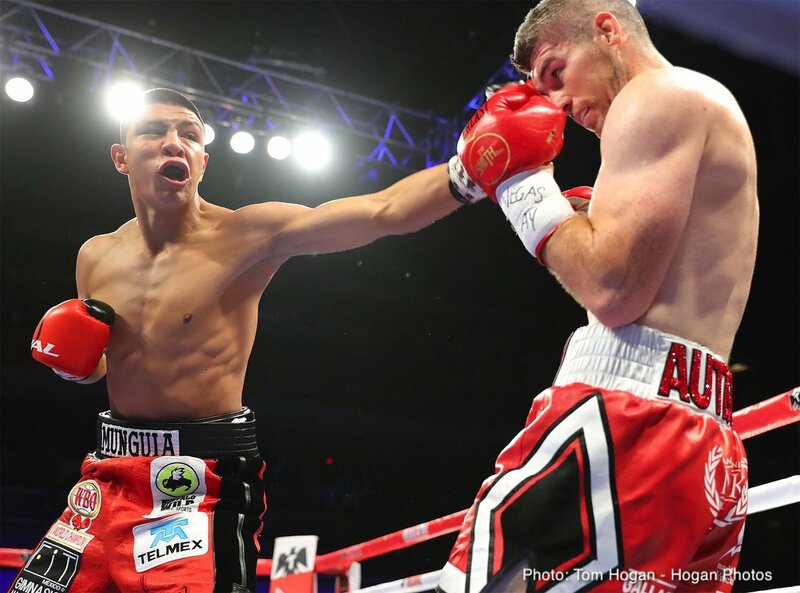 Munguia, set for stardom in the opinion of many good judges, will no doubt start favourite, fighting as he will be in front of many of his Mexican fans on Mexican Independence Day, but 32 year old Cook is hungry and determined and he says he is not at all fazed by the fight. It could prove to develop into a good action fight, if Cook can handle the heat. Again Munguia, just 21 years old and 30-0(25) as a pro, will be a big favourite to once again retain the belt he won back in May and has thus far retained once. All-action in the typical Mexican way, Munguia is a fighter the folks at Golden Boy fully believe will become a true international superstar. Cook is the older man, he will be giving away height and reach and he will be fighting in front of Munguia’s rabid fans. It would be some upset if Cook managed to derail the warrior from Tijuana. With a clash between David Lemieux and Gary “Spike” O’Sullivan also set for the GGG-Canelo card, it could be one great night of action-packed boxing.